Work No. 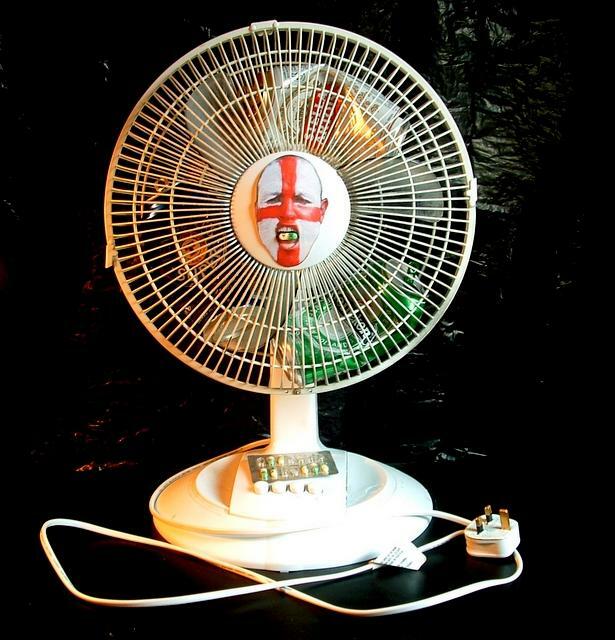 242; England Football Fan. c. Michael St.Mark 2006. Concrete work comprising large diameter disconnected cooling fan, crushed beer cans, moulded supporter face and part-empty blister pack of antidepressant Prozac capsules.